The first mile of the Lost Mine Hike in Big Bend National Park is a gradual uphill walk to a nice vantage point overlooking the basin below. Go another 1.5 miles up some relatively easy switchbacks and you reach this point that looks over Juniper Canyon toward the South Rim. I had hoped for a nice sunset, but the amazing light that spread forth from the western horizon suprassed my expecations. 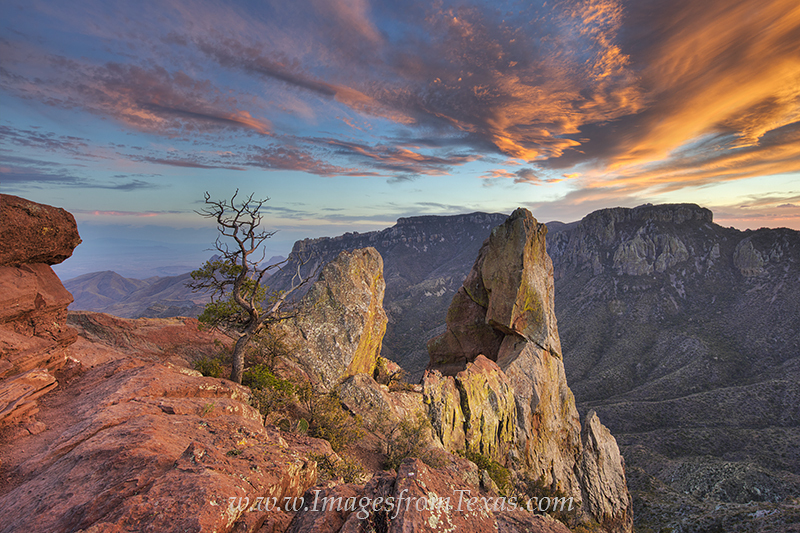 The beautiful colors did not last long, but they offered a lingering memory of a magical place amid this rugged Texas landscape. Photo © copyright by Rob Greebon.